Today is the International Day of Happiness – a day to focus on what brings joy to our lives, along with how we can bring joy to others. So, naturally, when our founders decided to launch a magazine dedicated to mental health and wellness, this seemed like the perfect date to unveil their new venture. 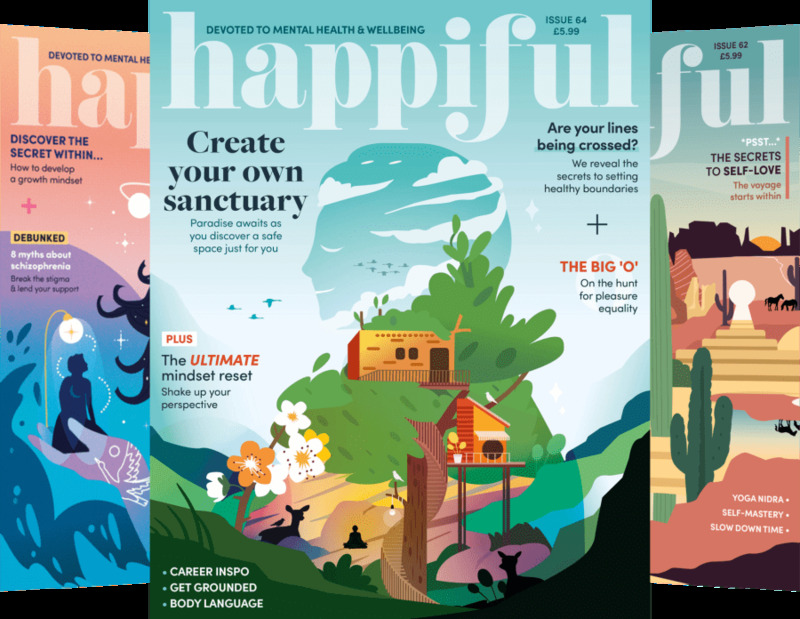 On our second birthday, we want to take a quick look back over what we’ve achieved in the past year, from inspiring cover stars and award nominations, to pledges we’ve made as a company. We also want to celebrate what’s ahead including seeing our podcast I am. I have. grow and develop, and the launch of our very first live event – Podfest for Mental Health. We always set out to have cover stars who not only speak honestly about mental health, but inspire us to live with passion and drive. We were thrilled to have Bryony Gordon grace our cover last summer, offering some serious fun on the shoot, and hard-hitting truths in our interview. In November, we dedicated our issue to supporting men's mental health and raising the vital awareness for this topic, with Jonny Benjamin and Neil Laybourn as our incredible cover stars. Both spoke eloquently about the extraordinary events that brought them together, and how it’s impacted both of their lives since. After being shamed by a celebrity magazine earlier last year, we were more than happy for December’s cover star, Stacey Solomon, to share her side of the story. Alongside this, Stacey shared some of the ways she reframes her thinking. We were excited to have such a passionate and multi-faceted woman on our March 2019 cover. Munroe Bergdorf tackled important issues in her interview, and gave all of us a spark of hope for the future. “The older generation may build walls, but the younger ones will tear them down, and we just really need to focus on supporting them during a time that is so negative. Alongside these incredible interviews, the magazine has matured and developed with in-depth and actionable articles, and a constantly evolving design. And we’re not the only ones who think so - towards the end of last year we were delighted to be shortlisted by the Mind Media Awards in the Publication of the Year category. While we didn’t come away with a trophy, being shortlisted showed us how far we’ve come in such a short space of time. In July last year we created the Happiful Pride Pledge to elevate LGBT+ voices and ensure we’re being representative in our magazine. Sitting alongside our equal opportunities and diversity policy the team continue to work on this. To help the UK workforce feel more empowered to support those with mental health, we also started offering Mental Health First Aid training with Simpila Healthy Solutions. With most of the office now trained, we can see the difference it’s made. At the start of this year we launched our podcast, I am. I have. Chatting with mental health advocates and professionals alike, our aim is to take conversations around mental health off the page and into our everyday lives. Looking to the future, we're excited to meet more of our readers and change conversations, IRL. We’re kicking things off with our first ever live event at the end of the month - Podfest for mental health. There'll be recordings of I am. I have, The Naked Professors with Ben Bidwell and Matt Johnson, What I Wish I Had Known About Maternal Mental Health, and The Book of Man, as well as a special panel talk on body image to end the day. The event is on Saturday 30 March at Kings Place, London and is set to feature mental health advocates and influencers Grace Victory and Jordan Stephens, You, Me and The Big C co-hosts Deborah James and Lauren Mahon and Mentally Yrs Podcast co-creator Yvette Caster. A celebration of the power of conversation and podcasts in the mental health sphere, all proceeds from tickets will be donated to the Mental Health Foundation. We hope this is the start of many events where we can come together not only with change makers in the industry but also with you, our readers, to keep the mental health conversation going. So here’s to you - because without your support, we wouldn’t be where we are today. We hope we can continue to learn and grow with you as we keep taking this journey together, one step at a time.